It’s the last Wild About Books Wednesday before Halloween! I hope you have been enjoying all of the spooky freebies and fun this month! Today, I’ll be talking about one more Halloween book for the year! 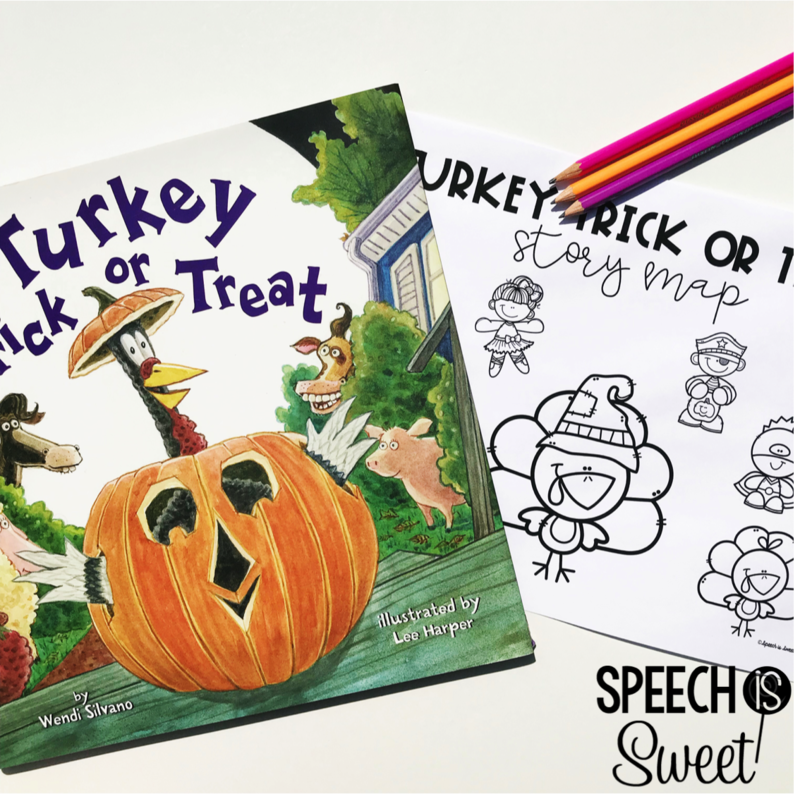 Your students will love Turkey Trick or Treat by Wendi Silvano! This is such a clever book series! I just love Turkey and his supreme problem solving skills! haha.. In this book, Turkey desperately wants some Halloween candy! He watches the trick-or-treaters with envy, but then he comes up with a plan! He decides to try on a variety of costumes to try to trick the local farmers into giving him some candy. Of course, nothing gets by Farmer Jake and his friends! 1. Problem Solving – I love using these books to address problem solving! Turkey devises the most hilarious plans! 2. 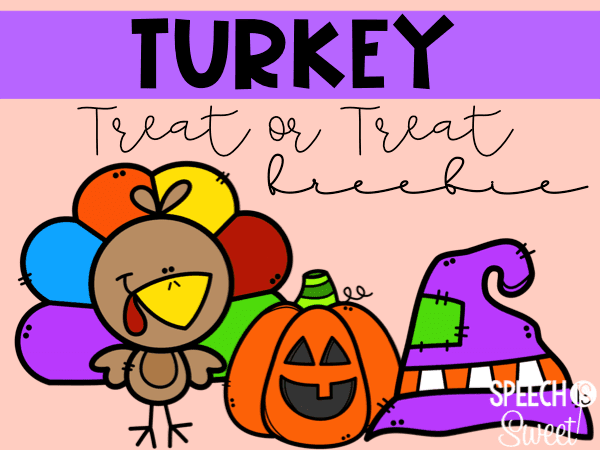 Describing – You can work on describing all of Turkey’s costumes! 3. Inferencing – Farmer Jake and the other farmers always figure out that it’s Turkey! But how? They use inferencing skills. Talk about the clues that the farmers use to infer. 4. Compare/Contrast – You can compare all of the different costumes! You can also compare this book to the others in the series – Turkey Trouble and Turkey Claus! 8. Emotions – The animals are sad, hopeful, disappointed, and finally happy! They experience lots of different emotions throughout the story! 9. Why questions – Why was it the best Halloween? Why was Turkey able to trick Mable? Why didn’t his costumes work? Tons of great why questions to ask throughout this story! 10. Sequencing – This is a great book to use to practice sequencing and story retelling! Of course, I had to whip up a free story map to go along with this book! I love using story maps! They’re great for aiding students in retelling, as the pictures let them know what happened next. These are also great for talking about before/after! Example, what costume did Turkey try before he was a pirate? If you’re interested, you can snag this freebie by clicking HERE. I hope you love it! Sign up for my newsletter if you want access to a free resource library for speech-language pathologists! Thank you for stopping by! Have a wonderful Wild About Books Wednesday! I’ll be back soon with some Thanksgiving books!